A College Prep School Cultivating Effective Leaders, Good Character and a Desire to Render Service. 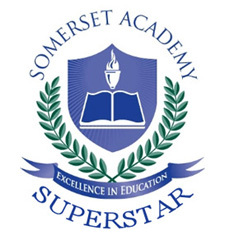 Thank you for visiting Somerset Academy of Las Vegas!! The Sate of Nevada has approved the calendar for the 2018-19 school year. We request that families use the calendar for planning purposes to ensure that students are in attendance for each day that school is in session. Thank you!!! We want to invite you to our two upcoming Graduation Commencement Ceremonies. Somerset Sky Pointe's Graduation is scheduled for May 26 at 4:00pm. Somerset Losee's Graduation is scheduled for May 27 at 11:00am. Help us congratulate our seniors! Join us in honoring our Somerset teachers this week during Teacher Appreciation Week! We are so grateful for their dedication, time, and service to our students and families! equitable, high quality education for all students.